Is it just me, or is this month basically flying by without any real slow down? I cannot believe we are already more than halfway through the first month of the new year, but I guess I should considering how much faster time goes by with four kids than it did before. I’m loving it, though. This is an exciting year for me and my family with all that we have going on, and it’s so much fun to live through it a day at a time – even if it feels like those days fly by. Since it’s Friday, I’m going to keep this short and sweet and basically to the point. Y’all know that I love high-end fashion. I love designer shoes, bags, and sunglasses – I’ve been collecting Louis Vuitton handbags since I was 20 (though I’m super guilty of rarely carrying anything other than my Neverfull GM the past two or three years). I have more Louboutins and Manolo Blahniks than most people have clothes. I loooove high-end designer fashion. Mostly accessories – though I tend to always spend more for designer basics. Jeans, dresses, and coats (that I really only need for our twice-yearly winter trips to NYC). Other than that, I’m good buying the budget-friendly version of most things. If it’s trendy or it’s easily replaceable, I won’t spend much on it. It’s those classic pieces I cannot live with if they’re poor quality. Because I like to mix a lot of high-end fashion with low-end items, I get a lot of questions about making cheaper pieces look expensive. The truth is that it’s so much easier than you imagine. You don’t need to have designer items to make your outfit look expensive if you’re on a budget. You just need to know how to shop for pieces that don’t look cheap – and how to mix and match. If you buy a long coat with a classic cut, you can make any winter ensemble look more expensive. Just be sure you’re not buying your long coats from the trendy shops you see on Pinterest or Facebook. You can get a good quality long coat with an affordable pricetag at Nordstrom, Macys, Dillards, and even H&M. Try this one, this one or this one. Do not settle for pieces that don’t fit well. It doesn’t matter if you spend $500 on a dress or you spend $15 on it. If it doesn’t fit you well, it looks cheap. Find a tailor. Become her best friend. Have your clothes hemmed and fitted to your body type. So many women look gorgeous in those high-waist, wide-leg culottes. I, my friends, am not one of them. As much as I love them, you won’t find me in them because I know that I cannot pull them off. Know what your body can handle, and don’t deviate from that path. You cannot pull off every trend that comes your way. Know thyself. I just don’t love a round toe when it comes to a classic heel. If you’re going to look high-end, the first thing you should do is throw on a pair of great shoes, but make sure those pumps have a pointed toe. They’re instantly more flattering because they help elongate your legs rather than making them appear squatty. They just don’t work – and they never look upscale. If you want to look expensive, try the basics. Think wrap dresses, fitted jeans and high-quality tee shirts with a blazer. Add classic pumps to an outfit, or get a few fitted oxford shirts. Keep your jewelry simple and sophisticated. Add a pair of oversized sunglasses. Get a structured bag. Stick to basic colors, and take off that last layer of whatever. Less is always more. The quickest way to look cheap is to put every body part you have on display. Keep it classy by keeping everything else modest and only showing off one asset at a time. If your hemline is short, make sure your neckline is high. Show off those gorgeous legs, but keep everything else under wraps. If your neckline is plunging, make sure the length of your dress or skirt is at or below the knee. For example, a plunging neckline in a fitted sheath that hits just below your knees is one of the sexiest yet most sophisticated looks imaginable. My gorgeous grandmother always told me that you attract what you put out there. If you want to be treated like a lady with class and elegance and attract people of the same nature, dress like one. If you want to attract low-quality people who treat you as such, dress like one. It’s that simple. Here’s the deal – your personal style choices are just that. Personal. Don’t let me dictate what you wear. However, always remember that you do attract a very certain type of attention when you walk out the door based on how you dress. Keep that in mind, and you’ll always be a step ahead of the game. I love that this new year is already off to such a great start. It’s been a few days, and it’s already been one of those weeks when you just sit back and embrace life to the fullest. I basically took the past month off work. Almost entirely other than the two weeks before the kids were out of school where I played catch up and work ahead. Other than that, I’m only doing some contract work for one client until the second full week of the year. The kids are home. I like to be with them. I like to spend time organizing, getting things prepared for a great new year, going to the dentist and the doctor and all those things. Mostly, I’m just enjoying the laidback mornings. Sleeping a little later. Enjoying a little more. Being fully present. Those are things I value and love, and this year is off to a great start already. And on that note, I’m sharing with you a quick Instagram round-up since it has been a while since I’ve done that! I love, love, love this Likely dress so much it actually hurts. I picked this up a few months ago and knew it would be my Christmas Eve dress, and it received so many compliments! It’s elegant and classic – and it’s perfect. Paired with my favorite Manolos, and I was the happiest mom around. This Topshop sweater is one I picked up a few weekends ago when my husband and I had a date weekend in Tampa for his company’s Christmas party. I can’t go to Tampa without making a stop at Nordstrom and bringing home all the things, and this sweatshirt is one thing I’m glad I took home…in every color. I sized up to a US 4 because I wanted it loose. Topshop Sweatshirt, Tinsel jeans (my new favorites), Michael Kors booties (old but similar here, Givenchy Sunglasses linked above). This jumpsuit is every single thing. I mean, I cannot even begin to tell you how much my husband loves and adores this jumpsuit. I originally rented it for Thanksgiving from Rent the Runway, and I ended up ordering it to have after I sent it back because he loves it so much. I mean, so, so, so, so much. He cannot keep his hands off me when I put this on, and since he typically can’t keep them off me anyway, this was even better! And these fun little kitten heels are actually like 13-year-old Jimmy Choos that I picked up. Aren’t they fabulous? It is officially December, and that is officially exciting! We’ve been living our best lives over here the past few weeks, and I’ve been a little MIA. Last week was a crazy one. Thanksgiving was the week before last, and it was a beautiful week. Family, friends, food, and so much love. We have so much to be thankful for, and we certainly don’t take that for granted. Last week was back to normal except not normal. Carter developed a viral infection that turned into a double ear infection that he shared with his twin sister. He was out of school 4.5 days (he left early Monday) and she was out the last two days of the week. It was a hectic week in general, but we made it work. This week is just as crazy. I’m up even earlier than 5 am all week to get a few hours of work in before I have to be at the girls’ school to do my PTA board member duties with my PTA sister wives at the Gingerbread Shoppe all day, every day, and into the night Friday because of the Winter Festival with Santa. It’s the mom life, and I love it. It totally helps that my PTA sister wives are the most inappropriate, hilarious, completely insane, questionable, fabulous women imaginable – as am I – and we work very, very well together. Because of that, I worked my behind off last week and over the weekend to get ahead on my deadlines so I don’t stress myself out this week, and I basically killed it. I also killed my second ever 5k this weekend – if you remember that I only began running the last week of April this year. I ran all 3.1 (except it was really 3.33) miles without stopping – in the pouring rain. I did 3 miles in 28:47 and finished overall in 30:58.14 – 99th place out of 206 runners. And I’m really, really proud of myself. And then I shopped online for things. All the things. Because I love to shop, and I love to give gifts to the people I love, so Christmas is my jam. And while I was shopping online for all the things and my husband was going through his yearly tradition of wondering what kinds of gifts to get me since we buy what we want when we want it, I had a thought. Subscription services are the best thing ever right now. Who doesn’t love to get new things all the time while paying a small fee for it? Boxes that show up on your doorstep filled with things that you love? It’s a win-win for everyone since these are typically the one gift that no one ever has. That said, I’m going to share a few of the lesser-known subscription boxes that I think will become huge before much longer – and they’re not all boxes; some are just subscriptions – because I love them and have them at home. It literally is the gift that keeps on giving. It’s not like it’s a big secret that I’m totally obsessed with Sephora. It’s where I’ve done all my beauty and haircare shopping for the past 15 years of my life, and I was not about to pas sup this box when I saw it a few months ago. The box comes monthly, it’s small, and it has a few fun-size samples and larger sizes in the boxes. Every month is totally different, but you also get to fill out a questionnaire when you sign up for it that allows you to customize your personal needs (is your skin oily or dry? Do you prefer bright colors or muted colors?) so they always send you something you can use. This box costs a grand total of $10.60 per month, and it’s so much fun. It always comes with 4-5 items all in the trial-size portions. Perfume, lip stick, mascara, moisturizer, and so much more. You even get a gift card that gives you 50 free Beauty Insider points to add to your next purchase if you enter it at check out. This box is my favorite because it allows me to try new things I might not otherwise try, and I can decide for 10 bucks if I love them, hate them, or have no feelings for them whatsoever. This box has become one of my favorites ever since the company reached out to me and asked me if I’d like to try it out. It’s all about clean beauty delivered monthly to your door. This box comes with two to four products every month, and they are beyond amazing. What’s even better – they are full-size products. No sample or trial sizes here, thank you very much. Every box has a theme. It might be a hair care month. It might be a winter box. It might be a skin care box. It might anything, but it’s always amazing. You can choose to order one box at a time for $41.95 monthly, buy six boxes at a time for $39.95 a box ($239.70 one time payment) or buy a full year of boxes for $455.40 ($37.95 per box). Thank you, Cosmo, for sending this to our lives. It is the best. It’s a box with all of the latest and greatest in beauty, fashion, and lifestyle items. You get to try them out every months for a grand total of $29.99 per month. This box always contains more than $60 in goodies, so it’s a great deal. It is another on that lets you try new things for a great price – which is always a win! If you’re anything like me, you love fresh flowers. I cannot go without them in my home, and you will never find us without fresh flowers in most rooms. This is a perfect subscription for anyone who loves beautiful flowers. For $32 per month, you get to have a fresh floral arrangement delivered to your front door. It’s always different, always seasonal, and always makes you feel so much happier when you see it arrive. It’s your personal best, and you will love it. So…new moms. Here you go. You’re welcome, and you’re going to love this. If you know a new mom, this will cost you $40 per month. It’s all kinds of adorable Cat & Jack (you know the brand from Target) clothing that is delivered monthly – and they even send the next size up as your baby grows. They keep track of all of it for you, and it might be the best idea since, well, anything else. If you have someone in your life who loves designer clothing and accessories, you want to spend the $80 per month on this shipment. It’s four items that come to your door. You get to keep them for one month. You get to choose what you want so you always have four gorgeous news items in your closet to wear for one month. If they don’t fit, send them back and they will ship you new ones. Hate something? Send it back and you’ll get a new one. You get to choose what you want, how you want it, and you get to have it all sent to your door. It’s hundreds to thousands of dollars worth of designer clothes shipped to you every month. The best part is that you can customize the shipment every month to meet your needs. Going on vacation? Get all the Lilly Pulitzer. Is it the holiday season? Order all the beautiful red dresses. You can update your wardrobe monthly without any commitment, and that’s what makes this the best box on the market. I hope you all had the most beautiful and amazing Thanksgiving! Our home was filled with people we love, more food that we could possibly eat, too much fun and laughter, and probably a few too many cocktails. It was everything. Now that you’re properly stuffed, adequately hating yourself for eating that 3rd helping of dinner, and feeling a little like you cannot do much more than roll out of bed – and we do mean roll – it’s time to talk shop. And by shop, I obviously mean shopping. I love Black Friday – though I don’t go shopping on Black Friday outside of my robe (and on my couch and with my coffee). One, because there is no sale worth the road rage I know I’m going to have today, and two, because today is DÉCOR DAY! Or, as we call it in the Raiford house, the best day ever. We go buy our beautiful, amazing, insane tree. Every year I try to get one taller than the year before, but it’s really, really hard in Florida to find anything taller than 16-17 feet. My Christmas tree room, however, has 23-foot ceilings and huge windows, so finding the biggest tree ever is always my goal. Anyway, we go buy the big tree. Then we come home and decorate it and the smaller tree in the family room and the master bedroom. The kids all get 3-4 foot trees for their bedrooms, and we do let them choose new decorations for their trees every year. Then….we decorate. The Christmas music comes on for the first time all year. The hot chocolate is flowing. There are cookies baking (because the kids love that) and we are all having the best day ever. I cannot even – it’s my favorite. Because I want you to also have the best day ever, I want to share with you my favorite Black Friday shopping tips. No, really. There is nothing better than sleeping in, drinking your coffee in your robe, and doing not a darn thing until you are ready. Honestly, I never know where I want to shop the most. It all depends on the year, but I will share with you some of my no-fail Black Friday orders. Bath and Body Works: Would you judge me if I told you I burn a 3-wick candle out in two days? Well, that’s what happens when you work from home. So, this day is a major candle sale day, and I load up since you can stack all those coupons they mail you. Crew: I always find something majorly on sale here. Dillards: I love Dillards on Black Friday because they have the lowest and most ridiculous prices on kid’s Under Armour apparel, and that’s all my son and my nephew wear, so I fill that cart! Old Navy: When you have a 7-year-old who is as hard on her clothes as mine, you buy her stuff here, today. Sephora: Honestly, they just had their 20% off sale twice in the past few weeks, so don’t be surprised if they throw something else out today. They always do well. Those are my favorites, but sometimes I find things elsewhere. It just depends on what catches my eye as I peruse my inbox that morning and see all the listed sales. Listen, ladies, there are going to be a million and one more sales this holiday season, and some of them will be better than the last one. You will not miss out if you don’t buy something today. I guarantee you will find it still on sale in a week. You can’t find it, so stop stressing yourself out about it. It’ll be back in full stock at the beginning of January, and you will get it for less. Trust me. Cinnamon rolls or French toast or something like that. It’s such a nice way to start the day, and you feel so good about life. Just do it. It’s how I like my Black Fridays. What about this week is so magical?! I love Thanksgiving. I love opening my home to the people we love, hosting a beautiful dinner, spending the day in the kitchen with my husband. I love so much about it. I’m not even that bothered by the kids being home this week because the weather is so beautiful that they just want to be outdoors, and we are able to work with the doors and windows open. It’s just…pretty. I love it. Life has just been good lately. I know I say that a lot, and I know my enthusiasm for life probably invites a few eye rolls here and there, but I don’t care. Anyone who has any interaction with me on a daily basis knows there are a few things that Make. Me. Crazy. (safety patrol parents. my sweet little nephew. Science fair projects. Just to name a few). But really, I have no complaints and most of those I do have are pretty simple, so that’s something to be happy about. This weekend was a good one. It was one of those weekends we didn’t have anything planned – and we needed that. We’ve not been home the past month or so on the weekends, and we were just tired. Every night last week was late…we were just tired. Thursday night last week was a late one. I went with some of my girlfriends to the United Way’s Little Black Dress fundraiser at a local winery, followed by dinner with some of my girlfriends I ran into at the event. It was fun, but it was also 11 pm before I got home! Friday night was family date night, but the kids asked if we could just stay home for once. We were all about that, so we just picked up Olive Garden to go and relaxed at home for the evening. We also decided to host an impromptu Gator Game Day party at our house. It was very casual with a sub bar and quick snacks, and somehow our luncheon/game day party turned into an all-day event, but it was easily one of the most fun days ever. Like, the kind of fun that leaves everyone saying over and over “This was the best day!” It really was, and I loved every second of it. Sunday ended with another impromptu plan when we went to a local brewery to judge our friend’s entry and turned it into a date night. He’s opening a brewery of his own in a few months, and we loved supporting him with our best friends…and a great dinner! I don’t care for dark beer at all, but he makes the least disgusting dark beer (but if you do love a dark beer, you’d have been in heaven). Now it’s Monday. The kids are home, the day is beautiful. I’m cramming a full week worth of work into today, tomorrow, and a few hours Wednesday morning, and I’m kind of banging it out like a Rockstar. And that was with a two-mile run this morning, so I’m feeling pretty good. Which brings me to the point of today’s post – an Insta-Roundup. We had such a busy, fun-filled weekend, and I’m tired. Even though it was a long weekend, I didn’t get a lot of rest yesterday during the holiday. I mean, the kids were all home from school, so that’s basically the sum of all things unproductive. It wasn’t a holiday for Craig, so that meant it was up to me to keep the kids quiet so that Craig could work. They are really, really good kids 90 percent of the time, but they can quickly forget what an inside voice sounds like, and that drives me insane when Craig is in the office working. But, they get it with a few reminders. Actually, we weren’t home long. I took the kids to see the Grinch (super cute) with one of my besties and her two littles, my mom and mother-in-law, and my niece and nephew, so we were gone most of the afternoon. And, randomly, I slept in, took a four-hour middle of the day hiatus to see a movie, and still got as much accomplished before 5 pm as I do on a normal day prior to 3 pm. I was impressed with myself – but, then again, if I tell a client I’ll have something done for them on a certain day, it’s done early. My business motto is always to maintain my excellent reputation by providing stellar work in the timeframe I quote. I cannot stand when a business owner doesn’t keep their word, especially since I’ve spent 10 years keeping mine without incident. (Off my soap box now). We had the best day Saturday. Craig managed to score four tickets to the Gator Game in the Bull Gator Suites, and it was SO much fun. We’ve been so spoiled this year with all of our major sporting events being in the suites, and I cannot go back to sitting anywhere else. I’m okay with that. It’s who I am as a person. We took our best friends with us, and it was a 12-hour day, and it was fantastic – but exhausting! Sunday we slept in and we celebrated our nephew’s 9th birthday by going bowling, which our kids love so much. All in all, it was such a sweet weekend, and I’m good. Not restful after our whirlwind 48 hours in Tampa and Texas the weekend before, but it was still too much fun to care. Which, on the other hand, still leaves me exhausted! Now that we are done with the weekend recap, I’m sharing one of my new favorite situations – with Crazy 8. When the company reached out to me to see if I was interested in shooting a campaign with them with my 10-year-old daughter, I was all for it. We love their clothing, and it makes all of us happy. I cannot stand when little girls don’t look like little girls – they already grow up too fast – but I also understand that our daughter is at an age where she wants to be a little more fashionable. She is a dream when it comes to choosing her clothes, and Crazy 8 makes it so easy for us to shop. She can find things she loves that are still appropriate and stylish that we are all okay with. If you haven’t shopped their line yet, we highly recommend it. You can find Addison’s black shift dress and mules here and here. Her Lilly Pulitzer sunglasses are here. Did I mention it is beyond affordable, too? Her entire outfit was less than $50 – and both items are currently on sale, which means you can buy the entire outfit for less than $30! How can you beat that?! I love Halloween so much! It’s one of my favorite holidays of the year with Thanksgiving and Christmas. Let’s face it, I just love this time of year so much. It’s cool and beautiful outdoors. Well, as cool as can be in Florida. It’s still in the mid-80s all day, but the humidity level is low and the evenings and mornings are perfectly cool. I’ve been running at home instead of at the gym because it’s so gorgeous to run outside this time of year. I seriously cannot get enough of it! We get to party hard with the twins at their school today, trick or treat with friends tonight, and hopefully not have a late night. I’ve already been practicing eating all the Halloween candy – and I’m doing a good job of it. So, we’ve already established this time of year is my favorite (I mean, how can it not be when I get to move my office outside to the lanai or the deck or the front porch every day? I don’t work inside these days). And now I’m going to share with you another favorite – a staple. If you’ve been following along with me for a while, you might already know my style is classic. I love basics, and I totally have a uniform. I tend to gravitate toward classic pieces. Think Lilly Pulitzer all summer and basic tees with skinny jeans and blazers all winter. I like to dress things up with my accessories. This year, I’m all about a plain pocket tee. I love it because I can throw it on with my Millers and my Neverfull and run out the door when I’m late. I can come home, throw on a blazer and my favorite Gucci belt, a clutch, and some fun heels for the evening. I can wear it with a long sweater and booties. I can wear it with my Hunters on a rainy day. I can pair it with anything to create any look I want in a moment. If you look in my closet, you’ll see I have something like 30 basic black tees – my go to. I’m trying to be a little different this year, and I hit the jackpot the other day at – of all places – TJ Maxx. I found a beautiful Bordeaux, a basic dark grey, a light gray, a navy, a black, and a white tee. All the same. All for $5.99. And all of them with short sleeves and long. So, naturally, I bought them all. (I usually advocate for investing some money into your staples, but you don’t need to worry about your tees. For this price, you can wear them three times and come out a winner). A basic tee shirt can go with anything you want it to go with. A blazer and skinny jeans. A pair of camo pants. A skirt. A pair of wide leg jeans. A pair of shorts. A sweater. Flip flops. High heels. Boots. Anything. It can be dressed up or down. That’s what makes it the best. I’ll be honest and say I don’t believe the shirts I bought at TJ Maxx are high-quality. I’ve never heard of the brand, and they were only $5.99. However, that’s so cheap that it doesn’t matter if they don’t last a lifetime. You only want them to last if you’re spending some money on them. These are cheap enough that I won’t care if I only get a few wears. What I do recommend looking for with anything you buy is at least a good quality. These are soft, and they are not see-through. They don’t seem to pull, and the seams look good. If you find a shirt without those qualities, it’s not even worth your $5. Basic colors are fun, but bold colors are also fun. Fall is a beautiful time of year to try some darker colors such as this great Bordeaux. You should also be excited to try them with new prints, and don’t be afraid about being too casual. I love a good mix of high and low. For example, I have a date night outfit planned that includes a pair of $9 camo jeggings and a $6 black tee shirt (both TJ Maxx) and a pair of Christian Louboutin So Kate pumps. Talk about high and low. Don’t be afraid to be bold. What’s your favorite basic this time of year? Drop a comment to let me know! Friday is just around the corner, and I thought this might be an appropriate time to share my new favorite date night ensemble from Rent the Runway. Since it’s my birthday month, RTR sent over a $30 gift card to use on any rental this month. I decided I was going to step outside of my usual comfort zone of timeless classics and find something a little more flirty and fun for date night. This week has been all things hectic. I have been volunteering all day, every day at our girls’ school at the Book Fair (all our board members spend the entire week at the school working the book fair like this because #teamwork) taking our kids to and from cheer and tumbling, hosting extra kiddos at home, and dealing with Safety Patrol meetings and such. It’s my #momlife situation all the time. The jeans and tee shirt mom life is definitely one I enjoy, but at the very core of my being I just need all things fancy and fabulous (hey, I didn’t earn the nickname Fancy Pants for nothin’). Last Friday night we had date night/birthday dinner with our best friends. Every time we have one of these nights, it consists of too much food, too much wine, and hours and hours at a table laughing hysterically at just about everything. Basically, it means I take all form-fitting ensembles off the table. Literally, because I will eat everything in front of me. As I was thinking of what I’d wear on date night, I thought I’d try something different. That’s what I love so much about Rent the Runway. I can try new things, new styles, and new looks that I’m not sure are really me – and if I hate it, I can send it right back and get something else or simply take a credit. Since I had my birthday credit, I figured I’d really try something new. That’s when I decided I’d go for this amazing red jumpsuit. Typically, I’m a DVF wrap dress and stilettos kind of gal, and jumpsuits don’t find their way into my closet. I’m petite, so length is always an issue. This one, however, was so much fun. With the fun cut-outs in the front, back, and on the sides, I felt just a little bit daring. The bold red is my favorite, and I cannot tell you how many compliments I received that night. Everyone and their mother loved it (even my mom liked it – which almost made me change my clothes before we left!). If you’re looking for something fun and flirty, this is it. It’s such a beautiful day in the Sunshine State today! It’s also the second day of school, and the mood in the Raiford house is a good one. There is nothing like the feeling of taking happy, excited, enthusiastic kids to school on a Tuesday morning. Fostering a love of education is one of the most important things imaginable in mine and my husband’s opinion. So far, so good. Our kids were brimming with excitement when I picked them up from their first day yesterday, and nothing makes my heart smile bigger. They love their teachers, their classrooms, their friends, their syllabus…Addison loves her Safety Patrol job of holding the front doors of the school opening every morning and afternoon. Ava loved that she got to hold those same doors open herself for a few moments in the morning while I was outside directing parents to the front office for visitor tags, tagging their kids with stickers stating how they’re getting home, and my husband was upstairs in the library handing out Safety Patrol belts to the new class of Safeties. She couldn’t yet go to class because it was too early, so she and some of the other PTA kids got to hold the doors. It was, in Ava’s words, the coolest day ever. The twins were full of excitement (after they cried when I picked them up) about writing their names and their new seats and their new classmates in VPK. It was a good day. Addison’s excitement is boiling over because she’s headed to the Taylor Swift concert tonight with her best friend and her family, and Ava’s excited that she’s the ‘big kid’ for the night at home. Meanwhile, I’m finally feeling better. Today, I’d say 80%. My sinuses are still crazy, and I’m exhausted, but I’m SO excited my husband and I finally have a quiet house, no one is in our office all day asking for snacks, and we’re actually productive. Well, I am. He never loses productivity or his work, but I do all summer, and I’m glad to have my scheduled time in my office again. I love spending summer with the kids, but I don’t love an unstructured work schedule each day. it’s not who I am. We get our lunch dates, our gym dates, and our lives back for six solid hours a day again. It’s good. And….I get to go to yoga today. I haven’t worked out in five days now because I haven’t felt well, and I hate that feeling. But, I also know that overdoing it doesn’t allow me to heal properly. Today, I’m back, and my yoga class is an intense heartrate, fast-paced, crazy class. I cannot wait. In the meantime, however, I’m sharing today’s look with you. It’s probably my new favorite for several reasons. For one, I’m beyond in love with my new Givenchy sunglasses. Get used to them, because you’re about to see a lot of them! Second, this dress is my new favorite. And, are you ready for this? It was $21 on Amazon! Yes, Amazon! I saw a similar one over the summer at Nordstrom, but they were out of my size. I waited. And waited. And waited, and I could never get the color I wanted in my size. So, I googled it, found this one, and figured for $21, it doesn’t matter if it’s awful. What’s amazing is that it’s not! It’s not thin or cheap looking at all! And, it comes in like a million colors and patterns, so you can probably expect to see this dress on repeat in other patterns and colors. I am so late with this, and I know it. 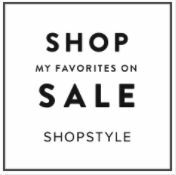 The #Nsale has been going on for basically a week now, and I’m just now getting around to sharing my purchases and a few other favorites. I have to tell you, I didn’t even shop the sale the first few days, and it’s almost open to the public at this point! Early access ends tomorrow, and here I am…today. In my defense, I was gone for four days, and traveling with a family of six takes a little prep work. We did have the best weekend. I’ll be totally honest with you, though. I hate, hate, hate, detest, hate, really hate a lot the area in Texas where my grandmother lives. I mean, I cringe, die on the inside, and really pout a lot while we’re there. But, she’s my favorite person in the entire world – and that makes the trip so worthwhile. It’s just so far out of the way. It smells terrible because of all the cows that line the highways for miles and miles. It’s all so orange. There are no trees. There is no water. The sky is not so much blue as it is a hazy color. And the smell….oh my goodness. My skin feels so dusty when I’m there. I guess we can say that I’m just not the country type. The Midwest just is not for me. I love that other people love that simple country living so much, but it’s not for me. I need my palm trees and my salty ocean air. I need the bright blue sky. I need to smell fresh flowers and see color that isn’t orange. It’s just who I am. Oh, and I need to be close to fresh fruit at all times. You would not believe how many restaurants we went to where they didn’t have fruit or actually asked, “Why?” when we tried to order fresh fruit (and one restaurant didn’t have eggs benedict, nor had they ever heard of it). We have to stay an hour and a half away from my grandmother’s house to even have a decent hotel, and even that is a stretch. There’s no four or five-star hotels for hundreds of miles, and the absolutely best we could do was a Hilton suites hotel where one person works at the front desk, you have to park your own car, carry your own luggage, and everyone goes downstairs in the morning to eat a free meal that looks like it’s been sitting outside for days and days. Thankfully, we found a Cracker Barrel and a Starbucks (even if neither had fruit or yogurt!). And my grandmother lives in a dry county. Basically, it’s just not for me. But, spending time with her is everything to me. We got to spend our Saturday night alone with her, my husband and I. My mom and dad were also in Texas visiting with my niece and nephew with them, so they kept our kids for us so we could spend the evening with my grandmother. She’s almost 100, and she’s the sharpest, most intelligent, most hilarious woman. Her mind is sharper than mine will ever be, and she’s lived a century. We had the most incredible evening with her – and our kids love the farm. The animals, the barn, all of it. I don’t even know who they are. The flight isn’t bad, but the drive to her house is hours and hours, and that’s a long situation. Overall, everyone was super well-behaved considering we spent four days off schedule and without the creature comforts we are accustomed to. It was so hard to say goodbye…my heart hurts. So, that was our weekend. We are glad to be home, and now I have to get back to work writing all the things. And bringing you my Nordstrom sale picks. To be honest, some of these things are just on sale. They’re not even part of the sale, but does that matter? Also, you won’t find a lot of fall stuff on my list. Honestly, I live in Florida. I don’t get a fall season, so I don’t buy much in terms of fall clothes. I’ll still be swimsuit shopping for months, so you’re getting what I love that works for my life. I have a particular love for these rubber TB sandals. I love them for the beach, the pool, and to wear in the shower when we travel ( I can’t shower barefoot). You cannot ruin them! Additionally, I love these simple Nikes for the gym. They’re streamlined and clean. And while we might not have a lot of fall weather here in Florida, rain is always a problem. And I love my Hunters. Remember to size down a full size for the best fit. I love this sweet midi. It’ll pair well with a fun blazer and sky-high heels for a slightly dressier look, or with flats for a fun casual look. I also have this split-neck shirt dress, and it’s just a little see-through when it’s daytime. Wear it at night or invest in a slip! This romper is too much fun, and this knotted dress is so flattering on all body types. My favorite, though, is this all-white romper I’ll never be able to wear because, well, all white. You know I’m a diehard 7fam jeans lover. I won’t wear much else. And these third pair are my absolute favorite ever – I picked up two more pair to go with the three or four I already have. I love them that much. Actually, they might be all you see me in ever again. And at this price, I might order a few more! This black tee is one of my favorite purchases ever, and it’s so cheap! I also love this casual stripe tee to pair with a blazer and heels during the fall (if we get one) and this sweatshirt is perfect for running errands, cool mornings with my coffee on the deck, and evenings when there might be an actual chill in the air.